There was an interview with Morten in a recent issue of Classic Rock Magazine, where he talks about discovering his “prog heroes” Uriah Heep in the mid-70s. “Heep meant everything to me in those years – on records like Magician’s Birthday, Demons and Wizards and, of course, Wonderworld, their songwriting was so very good – and I still feel the same way“, Morten says. A scan of the magazine feature can be found on the official Uriah Heep website here. 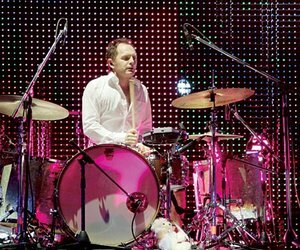 The South American tour ended with the rescheduled concert at the Movistar Arena in Santiago last night, where the band played for an audience of 9000 people. 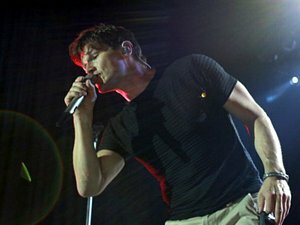 Morten’s voice is clearly improving after the problems he had last week, so it was back to the 20-song setlist this time. There’s an article with more pictures from the concert on rocknvivo.com. More pictures can be seen on this blog. 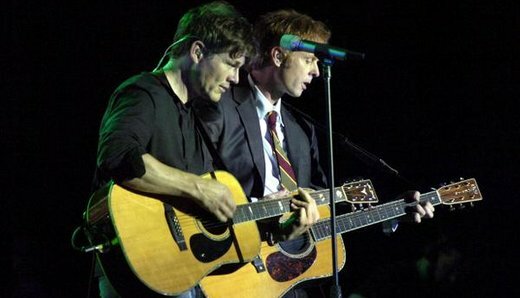 a-ha played their last ever Brazilian concert at the Siara Hall in Fortaleza yesterday. Because of Morten’s voice problems, they did the same shortened 18-song set as in Recife. But it seemed like his voice had improved a bit since the last concert, a fact he mentioned himself during the show. Now it’s off to Chile for the last concert of this first leg of the tour on Tuesday. “It’s been a strange experience to be on stage without my singing voice, but absolutely fantastic to be met by such overwhelming support from the entire audience during the concerts in both Brasilia and Recife. a-ha is definitely more than just me, and the band has performed brilliantly in the absence of my voice, singing along instead of me”, Morten tells VG Nett today, in a text message via his personal manager Sverre Flatby. 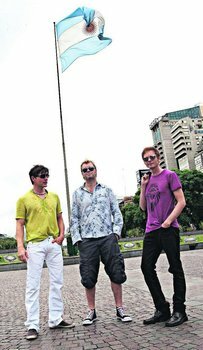 a-ha are supposed to perform their last ever Brazilian concert in Fortaleza tonight, and hopefully it will go ahead as planned. “His condition is being continously monitored. Morten has to a large degree managed to avoid these problems through a 25-year career and has an impressive track record of not missing many concerts. Ideally he should be giving his voice complete rest at the moment, but Morten is weighing this up against a strong wish to not disappoint all those who have been waiting for a-ha in South America”, Sverre Flatby tells VG. Morten’s voice problems are also mentioned on Dagbladet.no. 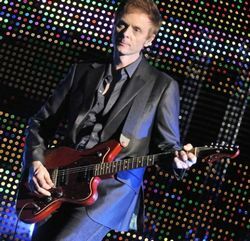 “Morten has performed two concerts with a virus infection on his vocal chords, and was therefore examined by doctors in both Brasilia and Recife”, a-ha manager Harald Wiik tells the newspaper. he was diagnosed with pharyngitis and tonsillitis. 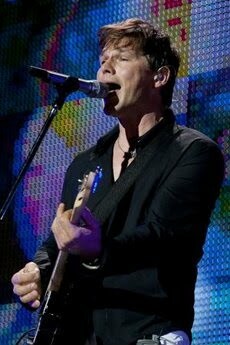 Because of his throat infection Morten’s voice was in even worse shape last night in Recife. Therefore the setlist was shortened by another two songs, leaving out “Summer Moved On” and “The Swing Of Things”. Despite undergoing medical treatment in a local hospital earlier in the day, Morten was almost voiceless when the band entered the stage at the Chevrolet Hall nearly an hour late, as you can see in this clip. The air conditioning was reportedly switched off in the venue, which made the temperature unbearably hot. But his voice did seem to get better later in the concert. Under different circumstances the show would perhaps have been cancelled, to prevent any damage to his vocal chords that could affect future concerts, but I guess since it’s the Farewell Tour with little chance of rescheduling they went ahead anyway. “I’ve lost my voice, as you can hear, but I don’t want to cancel the show. 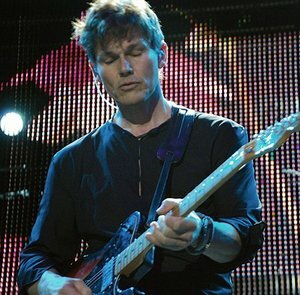 So you need to help me”, Morten told the crowd before “Minor Earth Major Sky”. Magne is featured in the spring 2010 issue of Vestkantmagasinet, a free magazine distributed in the Oslo area. In the interview he talks about the sculpture he made for the Nobel Peace Centre, working with his former mentor Kjell Nupen and the Alpha Beta project. – What is important to you in 2010? – And what are you most looking forward to? – a-ha’s farewell tour this year. It will be interesting to see the world through “a-ha glasses” one final time. 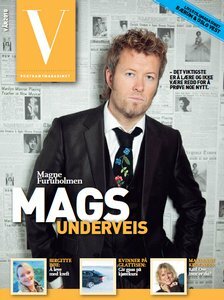 The interview with Magne can be read in Norwegian on the magazine’s website here. 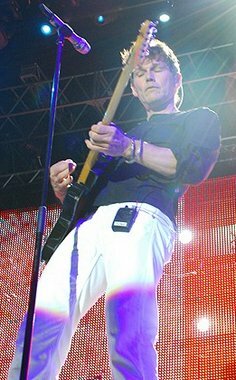 a-ha played for an audience of 5000 people at the large indoor sports arena Ginasio Nilson Nelson in Brasilia yesterday. Morten was struggling with his voice because he’s gotten a throat infection. This caused the concert to be the shortest of the tour so far, with only 20 songs on the setlist. 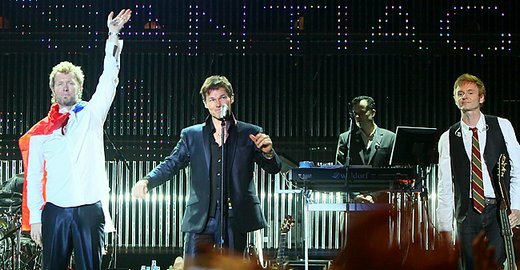 “I need you to help me out today, because I have a throat infection“, Morten told the audience – as you can see in this video clip. 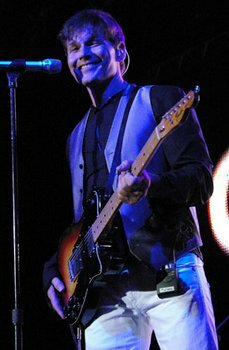 And they were happy to oblige, singing along whenever Morten held out the microphone to the crowd. An audience of 5500 witnessed the sold-out concert at the Chevrolet Hall in Belo Horizonte yesterday. No surprises in the setlist this time. “You Are The One” was not played last night and the band seems to be alternating between 22 and 23 songs. The band had yet another surprise in store when they played before an audience of 7000 people at the Citibank Hall in Rio de Janeiro yesterday; an acoustic version of “You Are The One”, a song that hasn’t been played live since 1991. The new acoustic-ish version of “Minor Earth Major Sky” remained in the setlist, while “Touchy” seems to have been dropped after its only appearance in Bauru. a-ha/magne f-drummer Karl Oluf Wennerberg, who comes from the small town of Vennesla in southern Norway, is interviewed by his local newspaper Vennesla Tidende today. “I’m looking forward to playing in every city, it’s really fun. There’s been a good atmosphere so far. The highlight will probably be the concert at Sør Arena [in Kristiansand] on September 11th. It will be special to be on home ground“, Wennerberg says. A translation of the whole interview, which was done over the phone in Bauru on Tuesday, can be found in the articles section here. a-ha.com on Twitter continues to provide small updates from the tour. Here is a picture of Magne with Brazilian football legends Junior and Zico. The “a-ha The Best” blog has more pictures from this meeting. 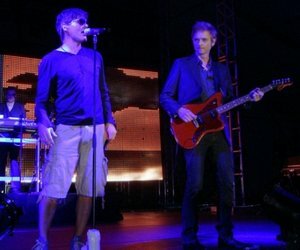 a-ha played the first of seven Brazilian concerts yesterday – and their first ever show in the city of Bauru. The concert was held in a huge tent that had been set up in the parking lot outside the Alameda Quality Center and attracted an audience of 3 000 people. 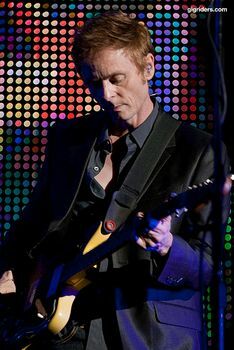 With 23 songs in total, the setlist was even longer than in Buenos Aires and included a rare performance of “Touchy” – which hasn’t been played live since 1994. In addition, several songs were shuffled around during the last half of the set. During “Take On Me” Morten asked security to bring a fan in the audience called Viviane up on stage. You can see a picture she took on stage together with Morten here. “The most unforgettable moment in my life“, she said afterwards. More pictures from the concert can be seen on 94 FM‘s website and in this set on Flickr. Here is a short interview clip from TV TEM and here is a look backstage before the concert. Good news for fans in Chile; the Santiago concert that had to be cancelled last week because of the earthquake has now been rescheduled for 23 March. The venue will be the same, Movistar Arena, and tickets purchased for the original date can be used on the 23rd. Read more on a-ha.com. 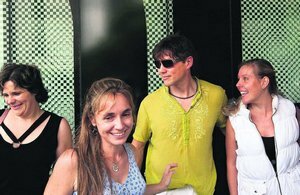 Also on a-ha.com; some info about the well-known German fans Judith, Petra and Judith, who are once again following the band on tour in Brazil. Their Twitter updates can be seen at twitter.com/jpjontour. The Yohan movie trailer is now available on Filmweb.no. Morten plays Yussuf, the husband of Lexya (Aylar Lie) and father of Levi (Alexander Rybak), in the childrens adventure movie, which premieres in Norway on 26 March. The scenes with Morten were shot in the summer of 2008. JC – What are the expectations of the band regarding the Brazilian public? Paul – The tours that we remember most are from South America and the times when we were in Brazil are very special to us. It is even a little funny because we always did more shows in Europe and North America, but they started telling us that we were very successful in Brazil and that we should include the country on tour. When we finally visited Brazil, we were impressed with the care, attention and the amount of fans we had here. For me, the first time we played in Brazil was particularly special because it was as if we were playing live for the first time. The audience was different and gave us a new feeling because we had never played in such big and open stadiums. It really changed the way we were performing. JC – What do you like about Brazil? Paul – It’s hard to compete with the Brazilian public. You are very passionate, caring and have a unique energy. I remember we were impressed with this concert at Rock in Rio II that I mentioned, because there were people who stood in line for more than nine hours and still had the energy to sing and jump during the show. This is amazing. Brazilians give of themselves completely and I do not find these features anywhere else in the world. Let’s say that each country has a “taste” and the Brazilian “taste” is very striking. JC – Is there a chance that the band will meet up again in the future? Paul – “Forever” does not exist. Nothing is eternal. We don’t know what can happen in the future. I won’t say that we will never again be reunited as a-ha, but right now we are saying goodbye, yes. JC – What do you intend to do from now on? Paul – I really want to keep writing and working on music, working with new artists. Maybe I’ll form a new band. I have written songs and I’ll see what to do with them. Magne formed another band and they even released an album, but I think none of us have decided exactly what to do in the future because we still have much work to do on this last tour. But surely the music will continue in our lives. The whole interview in Portuguese can be found on Jornal da Cidade’s website here, or you can read an English translation provided by Google Translate here. a-ha opened their “Ending on a High Note” Farewell Tour in front of 10.000 people in a sold-out Luna Park concert hall in Buenos Aires last night. This was also the first a-ha concert in Argentina since 1991. The intro music that opened the concert was Tchaikovsky’s “Serenade in C major”, which was used for the first time in nine years. In 2000/2001 this classical piece was the intro on most of the concerts on the MEMS tour. The setlist was quite long – 22 songs – but the only real surprise was “We’re Looking For The Whales”, which was played live for the first time since the 80s. One could perhaps have expected something different than the usual live songs and hits since the band have promised special concerts for the fans on this farewell tour. But hopefully they will change it up a little after a while. The order of the songs was original, though. Starting with two songs from Foot Of The Mountain, the set continued chronologically backwards by album, except for an acoustic set in the middle with “Early Morning” and “And You Tell Me”. Since tomorrow’s concert in Santiago has been cancelled, the next concert will be in Bauru, Brazil on Tuesday. An interview with a-ha in Buenos Aires appeared in several Norwegian newspapers today. To coincide with the start of the Farewell Tour, the official site was relaunched with a brand new design last night. Check it out on a-ha.com. Be sure to follow a-ha.com on Twitter as well, as new pictures and updates will be provided during the South American tour. A picture from rehearsals in Buenos Aires can be seen here. More details about the a-ha exhibition in Oslo are now available in English at the national library’s website. The exhibition, entitled Hunting High and Low: 25 years with a-ha, will be open between 20 October and 30 December 2010 and aims to “highlight different periods in the band’s career from the time of their breakthrough until today”. There will also be an international conference called Living a Boy’s Adventure Tale: musical transgression in the decades of postmodernism on 20 October, in connection with the exhibition opening. a-ha were recently given silver awards for selling more than 60.000 copies of Foot Of The Mountain in the UK. An impressive number in today’s music market. The silver award that was presented to Sorcha MacDonald from Universal can be seen on the WOTM Forum here. Morten and Magne arrived in Buenos Aires last night, after a flight from Oslo via Frankfurt, and were met by fans at the airport. Paul had arrived from New York earlier in the day. 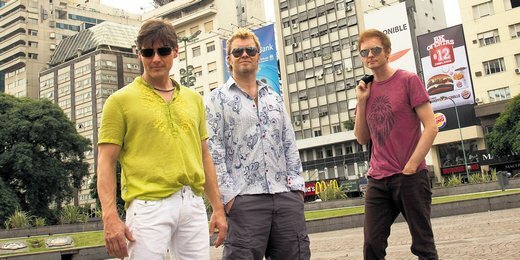 The website of the Argentine a-ha fanclub “Wildest Dream” has some pictures of the band members arriving here. The Farewell Tour starts with a concert at Luna Park in Buenos Aires tomorrow. Because of the earthquake in Chile, Saturday’s concert at the Movistar Arena in Santiago has been cancelled. 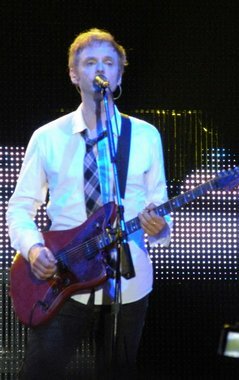 But the band is hoping to add a new date in Chile at the end of the month, following the concerts in Brazil. 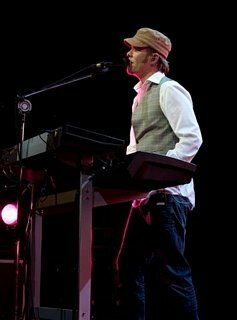 Read the whole message about the Santiago concert on a-ha.com. The Norwegian Guide and Scout Association (link) is holding its annual fund-raising campaign next month, from 17 to 25 April. This year, like in 2009, the money raised will go to educational projects for young people in East Timor. Morten, who has been a strong supporter of the people in East Timor since 1993, is interviewed in the official movie for the campaign. The 23-minute movie, which will be sent out on DVD to local scout groups across Norway, can now be seen online on vimeo.com. Morten is also featured in the current issue of the scout magazine Speideren, which can be downloaded as a PDF-file here. The official site has now confirmed the concert at Massey Hall in Toronto, Canada. It will be held on May 10th instead of the previously rumoured May 11th date. There will also be an additional U.S. date at the Riviera Theatre in Chicago on May 13th. This means that we’re up to 60 concerts in total. Ticket info on a-ha.com. 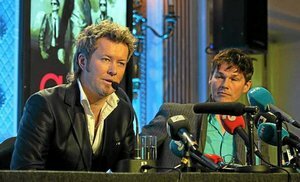 Morten and Magne (Paul is in New York) held a press conference in Oslo today to announce the Norwegian tour dates and to reveal that the band will be handing out a new talent grant. One local band in Oslo, Bergen, Trondheim and Kristiansand will receive 1 million kroner each. 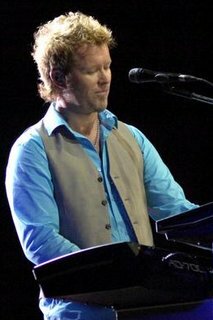 The bands are also given the opportunity to perform as part of a-ha’s Norwegian tour. “We are at the end of our adventure, and are excited to see what will happen in the future. We are priveleged and want to make a contribution“, Magne says. “It’s an opportunity to give something back, since we have received so much“. All this was announced by a-ha manager Harald Wiik as he opened the press conference. 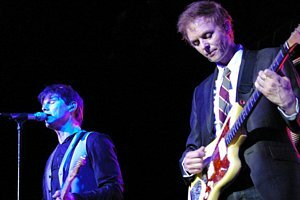 Morten and Paul at the Døgnvill Festival in 2007. Now they’re coming back. a-ha will be performing in six Norwegian cities in August and September as part of the Farewell Tour, the band announced today. This will be the biggest stadium tour in Norway ever. 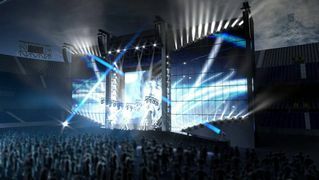 It will take one week to set up the specially designed stage, which includes a 1000 square meters LED screen which is 47 meters wide and 20 meters tall. 20 semitrailers are required to carry all the equipment around, along with a crew of 100 people. And an additional 200 people will be hired locally for each concert. “We have a busy and important year ahead of us, and we have even more planned than what has been announced so far. We’ll start by doing a big tour around the world, to celebrate the ending together with our fans. And then we’ll end it all at home. This will be the coolest a-ha show ever“, Magne tells Stavanger Aftenblad. Tickets for all six concerts will go on sale next Monday, 8 March, at 09:00 via Billettservice.